The Mutineers of the Bounty is a short story by Jules Verne, part of the series The Extraordinary Voyages. It is based on a true story: a mutiny that occured on the Royal Navy vessel HMS Bounty in 1789. The ship had been sent to Tahiti, and the relations between Captain William Bligh and his crew quickly deteriorated, leading to increasingly harsh punishments and abuse. A cabal formed between the men, and one night, they overpowered the captain, seized the ship, and sent him and 18 of his loyalists out at sea to die. Bligh and his fellow sailors had to sail for 4000 miles before finally reaching safety. 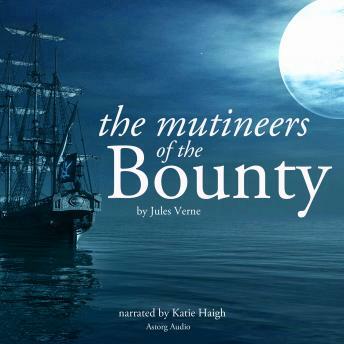 This audiobook relates the story of the mutiny, their plight and efforts to survive, and the unforeseen legacy of the mutineers.